The extended-sized fashion movement is well on its way to getting the kudos it deserves. Activewear companies like Nike, Beyond Yoga, and Girlfriend Collective have taken steps toward inclusivity. Now wedding attire, too, is increasingly comprehensive with its sizing. 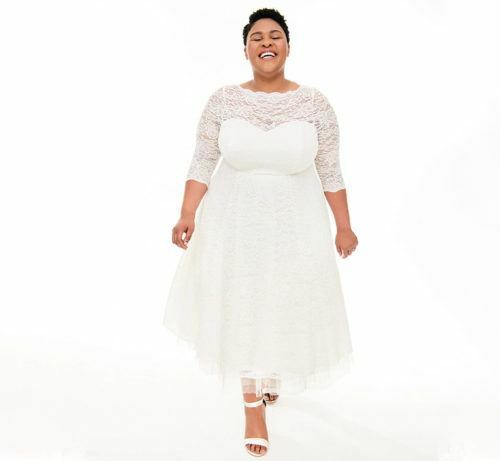 Leading the charge is Torrid, a cult-favorite fashion brand for women sizes 10-40, which recently dropped a wedding capsule collection. Each piece is both completely gorgeous and under $200. 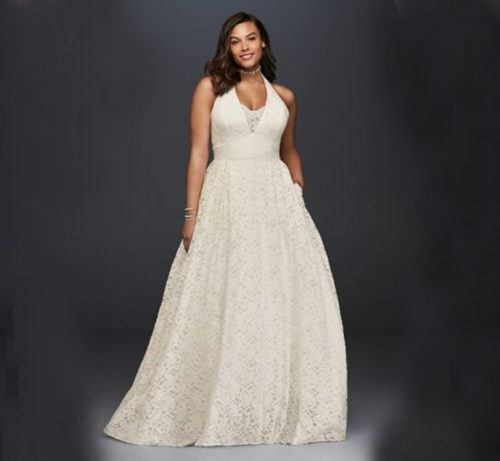 The collection includes 14 sassy and chic styles, in sizes 10-30, including off-the-shoulder dresses, waterfall skirts, and even unique patterns. With a beautiful collection of bridesmaid dresses and accessories, your closest friends will look fabulous, too. 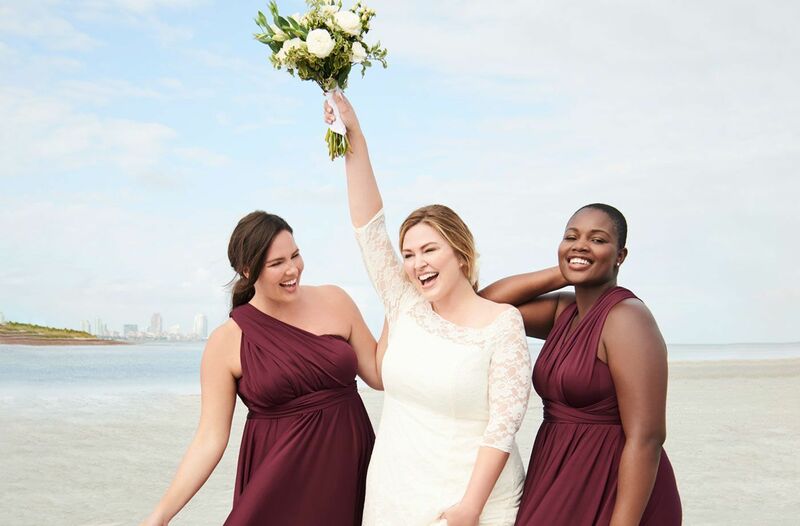 Knowing you’ll want to shop around, we scoured the web’s garment purveyors for affordable wedding dresses that says “I do” to size-inclusivity and budget-friendliness. 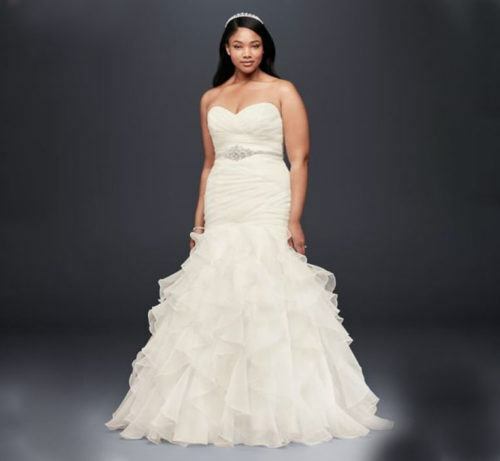 Torrid’s line is stylized and graceful—with a twist. For the love of tulle, take a look at these gowns. Alright, alright, so David’s Bridal is notorious for its beyond-corny Saturday morning television commercials. But the stunning necklines on these graceful silhouettes will almost make you forget all the eye-roll worthy love clichés. So you’re into the casual garden wedding? No problem. Modcloth’s picks for your day in white are more casual, but will still make you stand out with stars and unique lace patterns.